Our proposal is designed to be fabricated from stainless steel, bronze, copper and oak with internal LED lighting elements and sited in water. We were invited to attend the exhibition and symposium in June 2006 and won an 'excellent prize' for our work, we were also treated to many sight seeing tours. 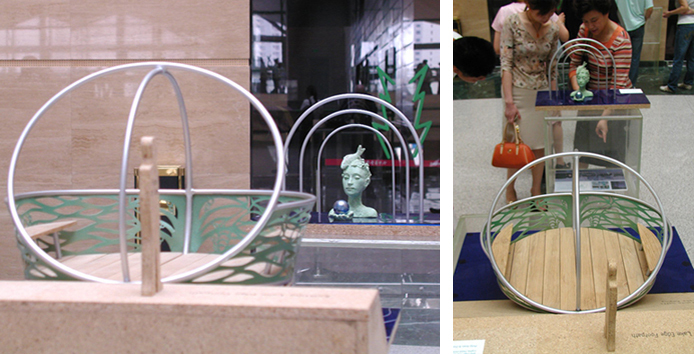 The work remains in the collection of Zhengzhou City.